Kräutergarten mal anders mit den Toppits® Muffinformen. Have you been dreaming of your own little herb garden or a bit of green for your home? Then let's go! Start small and make a big impact later with deliciously flavoured dishes. We are happy to help you, because we love fresh herbs in the kitchen. And we also have a little trick for you. 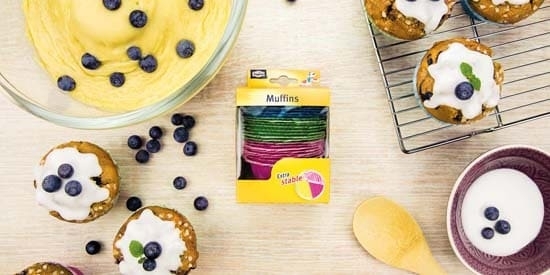 For your small kitchen garden, simply turn the Toppits® Stable Muffin cases into little flower pots! Put them in your muffin tray and add some soil and the seeds that will grow into your favourite herbs. Important: Light dependent germinators, such as savory, dill or basil, are only placed on top of the soil and pressed lightly. Dark dependent germinators, such as parsley and chives, are buried in the soil. Water and love take care of the rest. 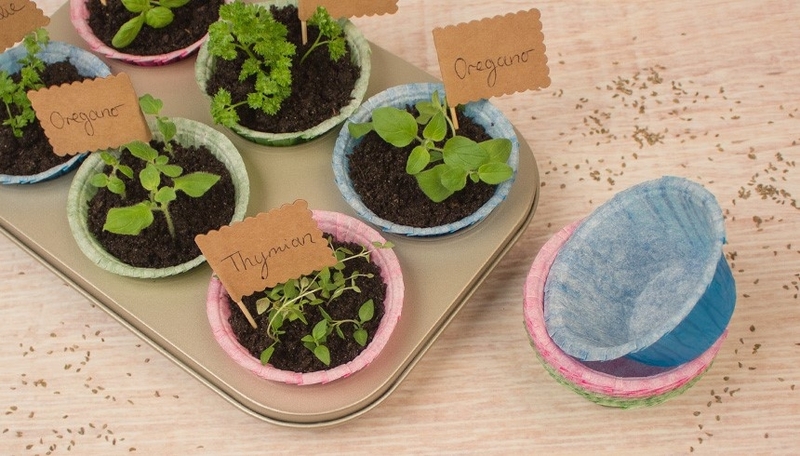 A little tip: So that you don't forget where which herb is growing, you can write the names of the herbs on wooden ice lolly sticks and put them into the muffin cases with the seeds.